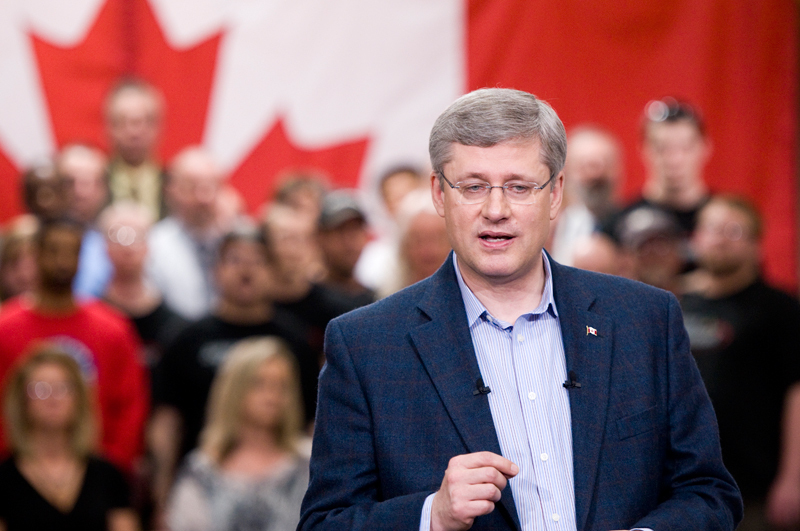 In the days leading up to the Federal Election, Prime Minister Stephen Harper made a last minute campaign stop in Waterloo at Sports Systems Unlimited. After drilling in some screws into hockey boards for a photo op, he addressed his supporters. And then the media was whisked away in vans to a second location, an apple farm a 10 minute drive away, for yet another photo op. It was an interesting experience to be a part of and see how it all goes down. And also cool to be shooting with all the wire photographers. WATERLOO, Ont. (27/04/11) -- Prime Minister Stephen Harper and his wife Laureen drill screws into hockey boards at Sport Systems Unlimited on Wednesday morning, April 27 during a campaign stop in Waterloo. Shannon Storey, Record Staff. WATERLOO, Ont. 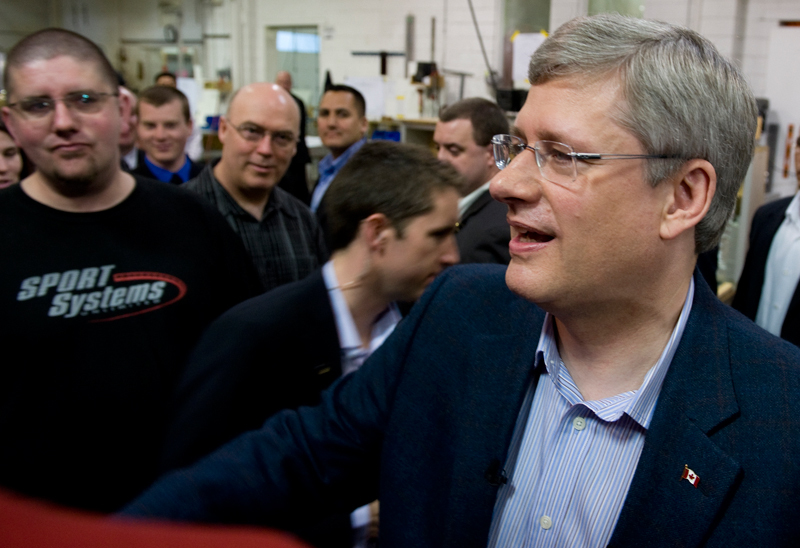 (27/04/11) -- Prime Minister Stephen Harper greets supporters at campaign stop at Sport Systems Unlimited in Waterloo on Wednesday morning, April 27. Shannon Storey, Record Staff. WATERLOO, Ont. 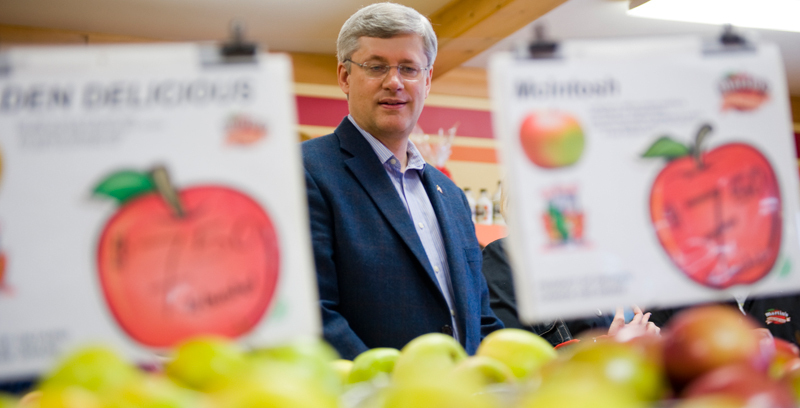 (27/04/11) -- Prime Minister Stephen Harper shops for apples at Martin's Apples during a campaign stop in Waterloo on Wednesday morning, April 27. Shannon Storey, Record Staff. WATERLOO, Ont. (27/04/11) -- Prime Minister Stephen Harper answers questions during a campaign stop at Sport Systems Unlimited in Waterloo on Wednesday morning, April 27. Shannon Storey, Record Staff. WATERLOO, Ont. 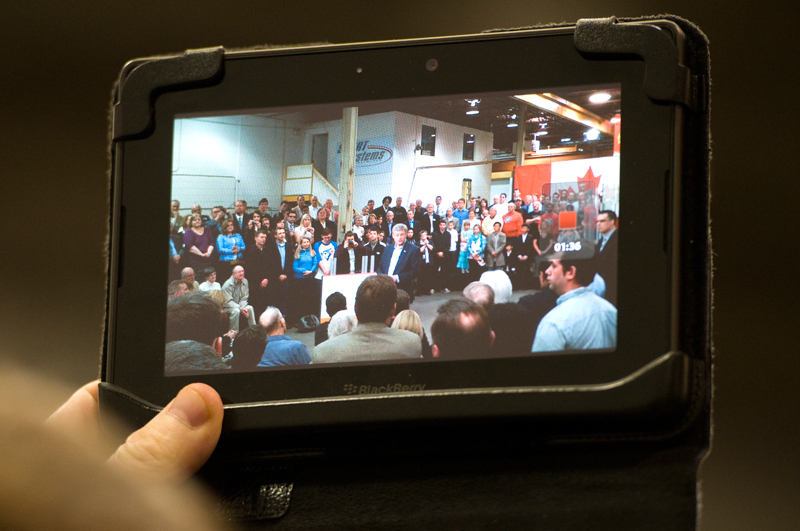 (27/04/11) -- A Blackberry Playbook films Prime Minister Stephen Harper answering questions during a campaign stop at Sport Systems Unlimited in Waterloo on Wednesday morning, April 27. Shannon Storey, Record Staff.